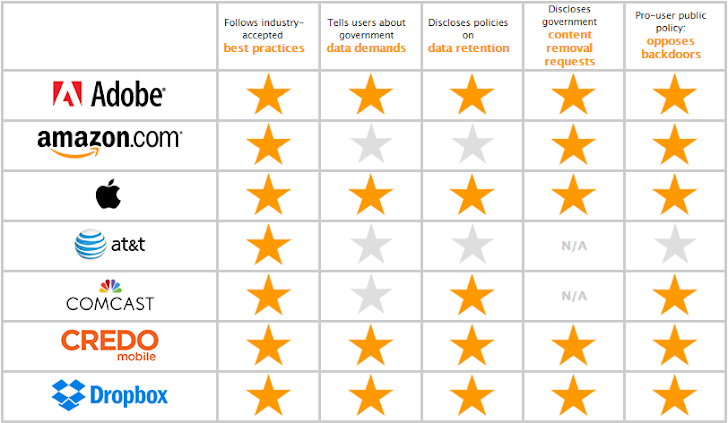 The Electronic Frontier Foundation has released its annual report card of tech companies for 2015 based upon how much they keep your personal data secure from government snoops. Yes, you heard right! 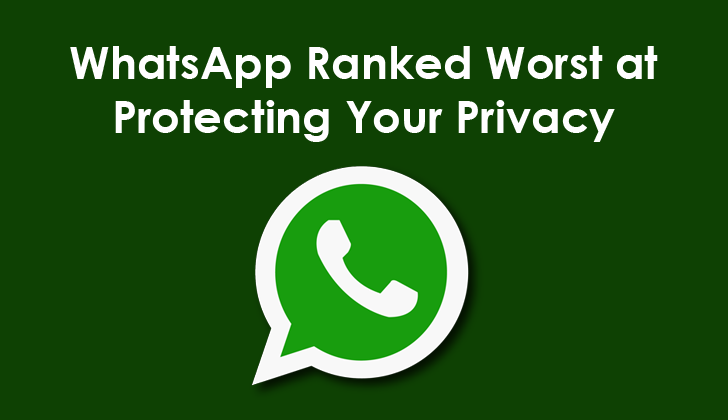 WhatsApp is one of the three worst companies at protecting its users’ data so if you are concerned about your data privacy, you should think twice before using WhatsApp. The prominent privacy advocacy group analysed 24 companies in total, and among them AT&T, Verizon and WhatsApp came out to be the worst companies at protecting its users’ data. 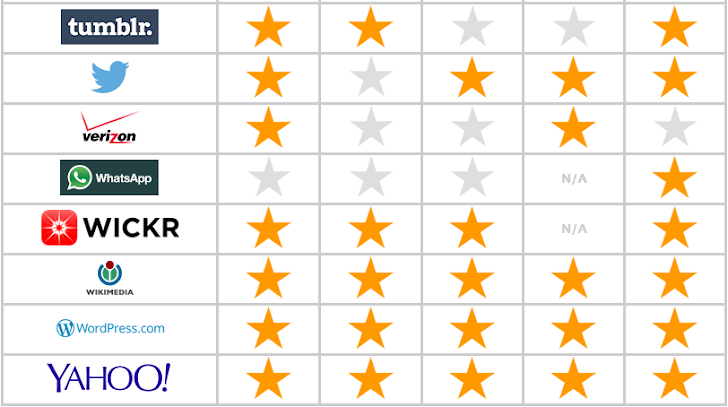 Where Verizon met two criteria of the EFF's criteria, WhatsApp and AT&T only met one. AT&T, WhatsApp and Verizon have some worst policies when it comes to protecting its users’ personal data from government requests. Here’s some advice from the EFF to WhatsApp: "WhatsApp should publicly require a warrant before turning over user content, publish a law enforcement guide and transparency report, have a stronger policy of informing users of government requests, and disclose its data retention policies. 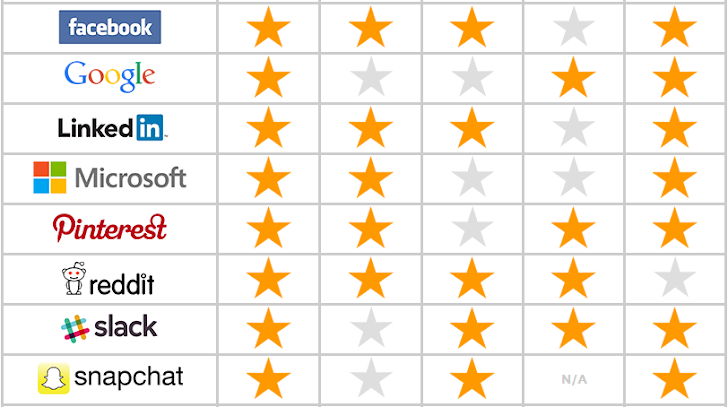 Also, Google and Microsoft both earned just three stars each, which isn’t really up to the mark for such two companies that claim definite levels of respect and trust when it comes to data privacy. You can see the results of every single company in the EFF's chart above, and if you want the more detailed explanation, you can access the full detailed EFF report here.